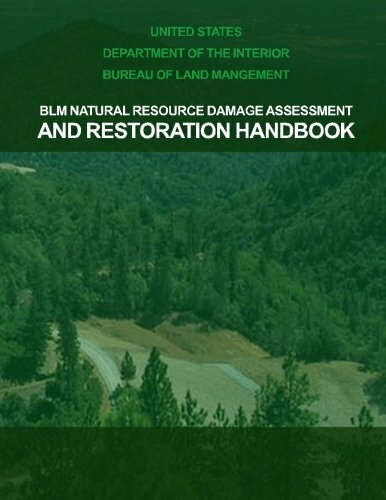 This Handbook provides guidance and policy that the U.S. Department of the Interior (DOI) Bureau of Land Management (BLM) personnel should follow when undertaking Natural Resource Damage Assessment and Restoration (NRDAR) activities. The BLM is responsible for sustaining the health, diversity, and productivity of the BLM-managed land under its jurisdiction for the use and enjoyment of present and future generations. The Federal Land Policy and Management Act (FLPMA) of 1976, Public Law 94-579, (43 U.S.C. 1701 et seq.) requires that the BLM provide the public the opportunity to use and appreciate significant cultural and natural resources while protecting and conserving them (FLPMA; 135 Departmental Manual 1, 1.3, A-D). Pursuant to these responsibilities, the resource management goals of the BLM are to maintain the health of the land and, to the best of its ability, to restore or replace resources that are harmed by pollution. The authorities and process of NRDAR are very useful tools for the BLM to use in accomplishing these resource stewardship responsibilities. The NRDAR authorities enable the BLM to seek compensation for restoration of injured resources (see Definitions and Terminology, Section 1.3) from the potentially responsible party (PRP) to fund restoration, but NRDAR injury assessment and restoration planning steps also can be a part of the BLM site activities that are funded by the BLM.